Clarissa doesn't explain it all: Summertime and my life isn't so easy! Summertime and my life isn't so easy! I am in summer mode which means I have lots of time to think. When I think, I get I trouble. Since Ben and I are not going anywhere this summer, we have decided to make some improvements to the house. 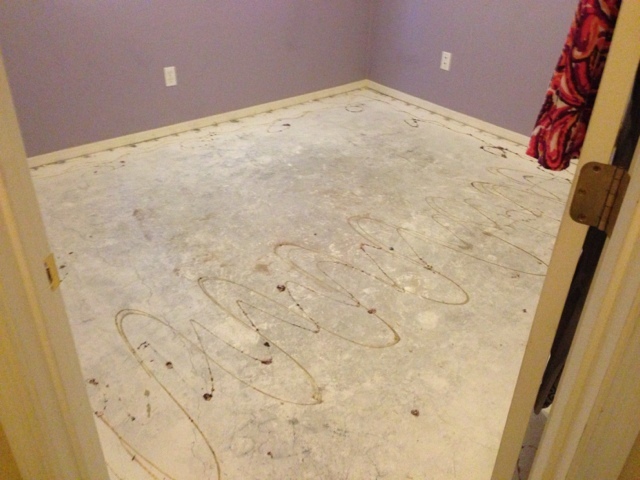 Our big project this summer is put laminate wood flooring in our hallway and home office/craft room. Well I had to move all the stuff out which gave me inspiration to redo my craft room for the third time. Of course I want new furniture, new ways to organize all thanks to Pinterest. Ben isn't so happy about this but I am certain if he trusts me. He will love it. Thanks to my good friends Amy and Rik for helping me out by taking all that junk out and getting the old carpet out. 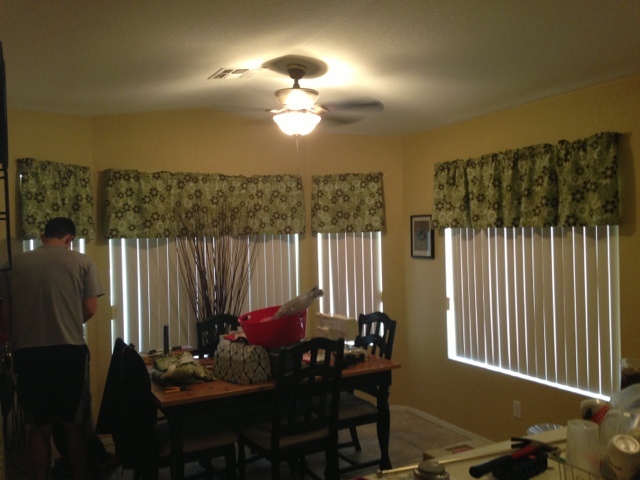 Ben isn't fond of the fabric but I think it adds color to the boring yellow wall. 2. Create a new classroom (big project) that will be my next entry. 5. Work with a landscaper to design a new backyard with jacuzzi! This is Ben's vision but I will do all of the decision making. I think I have enough to keep me busy. I may be crazy but I love doing things like this in summer!